→Full Metal Jacket Vs. Hollow Point: What One Is Better For You? At present, there is plenty of ammo out there; therefore, to purchase the most suitable type for your shotgun seems to be not an easy task. Before you decide to buy ammunition, let’s think about your purpose. 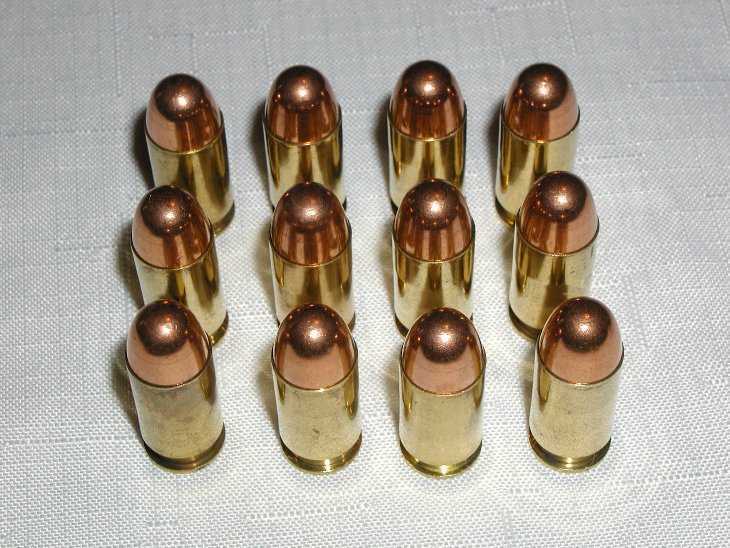 Are you going to use ammo for target shooting, hunting or self-defense? This question will guide all of you to make the right decision. 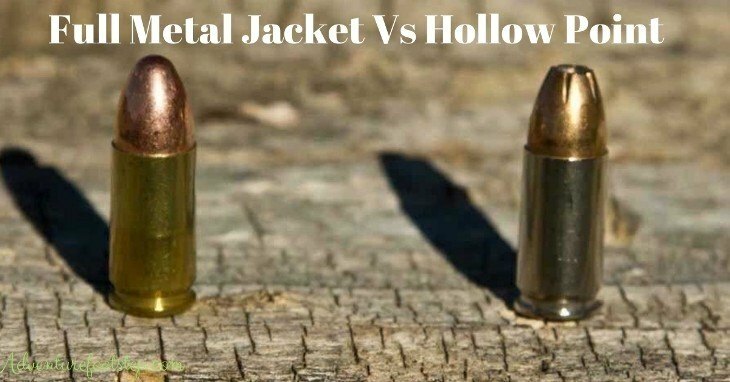 In this article, we will introduce you two of the most common ammunition types today - Full Metal Jacket (FMJ) and Hollow Point (HP) - and answer questions such as “What exactly are they?” or “What are differences?”. What Is A Full Metal Jacket Bullet? What Is A Hollow Point Bullet? When To Choose Hp Or Fmj? Where To Buy These Weapons Online? First things first, we will have a look at the history of HP and FMJ. In Victorian times, the English soldiers of the Army of India realized that, sometimes, when the bullets hit rebels, they did not fall and continued fighting. A soldier had the idea of marking a cross on the tip of the lead bullets of his rifles. By this way, they opened the impact on a body and thus inflicted much larger wounds, killing the enemy faster. This test was carried out in the military arsenal, and for that reason, such bullets were known for a long time in the name of "expanding bullets." Until now, people no longer create them by marking the cross points. Instead, they invented Hollow Point. The cartridge for rifled weapons appeared in the XIX century. Initially, the bullet in it was lead and shell-less. Over time, with the coming of smokeless powder, the initial speed increased significantly. The lead material ceased to satisfy the shooters. With the massive friction and heat from the powder, the lead bullet partially melted. Manufacturers cover it with a metal or brass sleeve to avoid this. In continental Europe, soldiers called it "armored bullet," and in the Anglo-Saxon countries, it is "full metal jacket." The bullet in the “shirt” stopped deforming and lost part of the stopping power. The military considered this a plus. People all over the world welcomed shell bullets with high speed and small caliber. The clue is in its name. Full Metal Jacket means a bullet that is covered entirely by a jacket. This “shirt” is usually made of steel alloy or copper to decrease the substantial bulk of lead remained in your barrel after the fire. The most noticeable thing is that even after the bullet reaches the target, it is still jacketed. FMJ can go through the targeted object directly, and then hit anything behind. Due to this reason, this type of ammo is not suitable for self-defense. The innocent citizens in your neighborhood might be injured. Also, compared to regular bullets, FMJ causes less damage and smaller wounds to the target, so it’s not a good choice for hunting. The aim of every hunter is not to injure animals, but to kill or stop them from escaping or attacking you as soon as possible. FMJ does not satisfy this demand. Generally, you often see Full Metal Jacket in target shooting practice or military activities. When hearing Hollow Point, you might have some right ideas. Like its name, HP is a bullet in the tip of which there is a hole. It is one of the most simple but effective rounds. When a hollow point hits the targeted item, it will expands. Different from Full Metal Jacket, HP can not go straight through the object but it results in more serious damages. Its working operation is that HP attacks the aggressor with a great hit, and then sends nearly 95% energy of the projectile into the objective. As a result, it quickly stops the target’s track. Most strikingly, Hollow Point has a nickname - “humanitarian weapon” for the hunters - because it does not kill but only stop animals. Furthermore, on the market today, there are many styles and shapes. Each and every manufacturer has distinctive products for defense, long-range hunting or target practice. 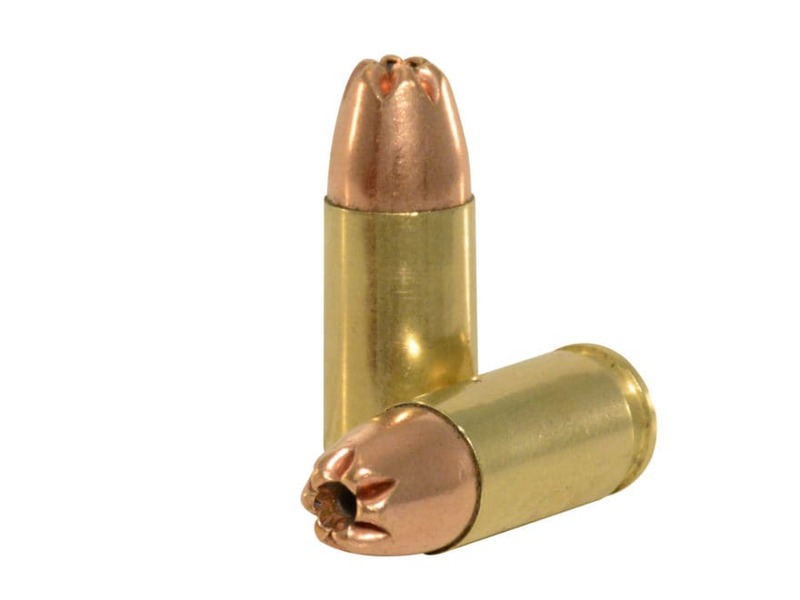 Despite of devastating damages, hollow point bullets also have a few disadvantages. First, the penetration of steel and concrete materials is decreased; so remember not to shoot HP bullets into these materials. And in case of hitting an unwanted target, the damage is extremely huge. If you are here, then you must have grasped some basic differences between Full Metal Jacket and Hollow Point already. First, they have different bullet builds: one with hollow and the other without. They also have different functions and purposes. On the one hand, if you’re fond of hunting or you want to protect yourself and family, you should choose HP. On the other hand, if you desire to practice shooting target, then FMJ is a better solution. Third, HP and FMJ also has a big difference in price. In the current ammunition market, FMJ is much cheaper than HP. So if you’re on a budget, but still love practice, then don’t hesitate to purchase one FMJ. Surely, it does not cost you an arm and a leg, but still worths every penny. Actually, if you find online stores on Google, you might see hundreds of results. In this article, we would like to introduce one reliable source - Lucky Gunner. If it’s the first time you visit this website, you may get surprised by its variety. Hundreds of weapons and gun parts are available for you to choose from. Next, you can find and enjoy great deals and promotions. Price is reasonable, and you can find more deals on the special days. Last but not least, it does not take you hours to pay. Simply use your credit card and you can own whatever you like. Also, if you are not satisfied with your order, you can get a refund. Take everything into consideration, before buying an ammo, you should know clearly what your purpose is, and then do a research to comprehensively understand the knowledge about each type of ammunition: FMJ for practice and HP for defense. Hope that our article is useful for those who plan to purchase one. If you already use them, is there any comment you want to add? Feel free to share with us right now.